KCN has been working in the field of synthetic coating since 1997 and is thus one of Germany’s first and most experienced specialists for synthetic coatings. In the early days of the owner-managed company, the focus was still on the coating of loudspeaker cabinets and pickups. Shortly afterwards, the special fit out of food hygiene coatings in vans was added, which also required the precisely fitting of wooden panels in the vehicle. At the same time, the innovative owner Rolf Blaeß tests coatings on motorcycles and climbing walls and introduces his products into the design of fashion shops and concept hotels. Thanks to his extraordinary know-how with synthetic coatings and the equipment used in the process, he is a sought-after contact for companies that also want to establish a foothold in this still new field. In 2005, the next step was taken with the trading of materials and technology. Based on new materials and customer requirements, the idea of an anti-slip floor is developed that eclipses all previous alternatives. The result of years of intensive development revolutionizes load securing in the commercial sector. The KCN Anti-Slip Floors are tested by the Fraunhofer Institute IML and certified excellent sliding friction coefficients. 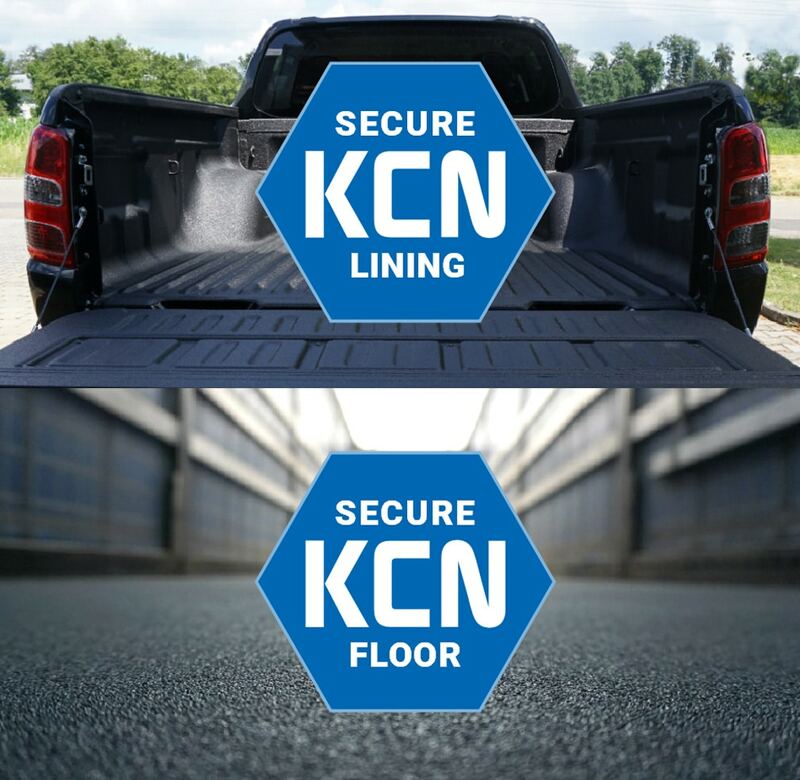 Shortly thereafter, KCN Anti-Slip Floors are used for the first time by well-known vehicle manufacturers and original equipment manufacturers. Once they have been certified by DEKRA, the production of successful non-slip floors is automated – yet another novelty. In 2017, KCN is informed that the Anti-Slip Floor is eligible for funding of up to 80% via the De-minimis funding catalogue of the Federal Office of Goods Transport (FOPH). After successful examination by the FOPH, the applicant receives a commitment in the form of a so-called grant decision on De-minimis aid. In June 2017, the new developed KCN EasyStop was launched on the market. The flexible load securing system is aimed at the users of vans and cars. With this high impact rate, further coating-based innovations can be expected in the coming years. 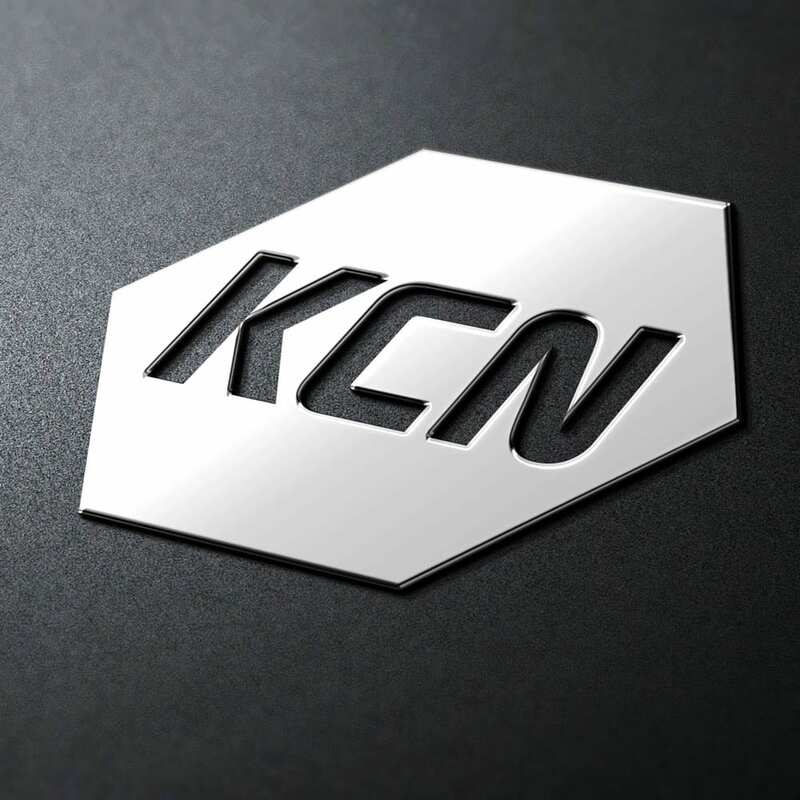 For us, the KCN brand is commitment and capital. Promoting and developing its strength and uniqueness is an important cornerstone. Our brand statement gives consumers the assurance that they are buying high-quality goods when choosing our products. We point to product quality without raising unjustified expectations. The KCN brand stands for a modern, high-quality and innovative protection and safety brand. Our managers focus on the purpose and not on themselves. We achieve our corporate goals together. The basis of our management is our corporate strategy. We manage in a comprehensible and consistent manner. We create a positive and results-oriented working atmosphere. We achieve results by giving our employees orientation through measurable goals. We enable and demand independent and self-reliant action. We define clear tasks, competencies and responsibilities. We give and expect open and constructive feedback. We support our employees and use their potential. A company is as good as its employees. Qualified and committed employees enable the success of the company. Regardless of the company hierarchy, all employees are equal people whose commitment and skills we challenge and promote. Our aim is to design working conditions in such a way that they contribute to the personal satisfaction of our employees. We achieve our goals together. We draw our strength from the constructive and respectful cooperation of shareholders, management and all employees. Our actions are characterized by respect and appreciation for people and the environment. What we have in common is our enthusiasm for the positive interpersonal atmosphere, mutual trust, reliability and entrepreneurial thinking and acting at all levels. We strive for a long-term relationship with our business partners based on partnership, fairness, trust and reliability. KCN has long been known for tough, nearly indestructible spray-on anti-slip floors. What many people don’t know is that because our components are a spray-on protective coating, it can be applied to almost anything. That’s how we’ve built a reputation for durability and long-lasting protection that extends far beyond our anti-slip floors. All KCN Anti-Slip Floors are DEKRA-certified and tested by the Fraunhofer Institute IML. They are manufactured and delivered in commercially available panel sizes. What clearly distinguishes them from each other is their surface. Anti-Slip Floor Nr. 1 is called KCN-01, is easy to clean and, in addition to its anti-slip function, offers very good sound insulation properties, an important point in reducing noise emissions for drivers and the environment; keyword is the PIEK regulation. This makes the KCN-01 particularly suitable for closed trailers. Anti-Slip Floor Nr. 2 is KCN-09, an anti-slip floor that shows its magnitude in transporting building material in open trailers. Anti-Slip Floor Nr. 3 called KCN-13 is mainly used transporting light to medium-heavy packages in vans or small lorries. KCN-01 and KCN-13 can also be coated directly onto the vehicle loading area as an alternative to installing coated wooden panels. KCN EasyStop is another product with the same properties as the KCN-13 Anti-Slip Floor. These are so-called anti-slip strips – a flexibly applicable load securing system for vans and cars. The strips, only a few centimeters wide, reliably prevent baskets, buckets, boxes and the like from slipping. KCN Linings also have a slight anti-slip effect, but their main use are in other fields. The big advantage is that they are shape-independent and jointless; almost any object can be refined. KCN Linings are sprayed manually onto the element and dry within seconds. 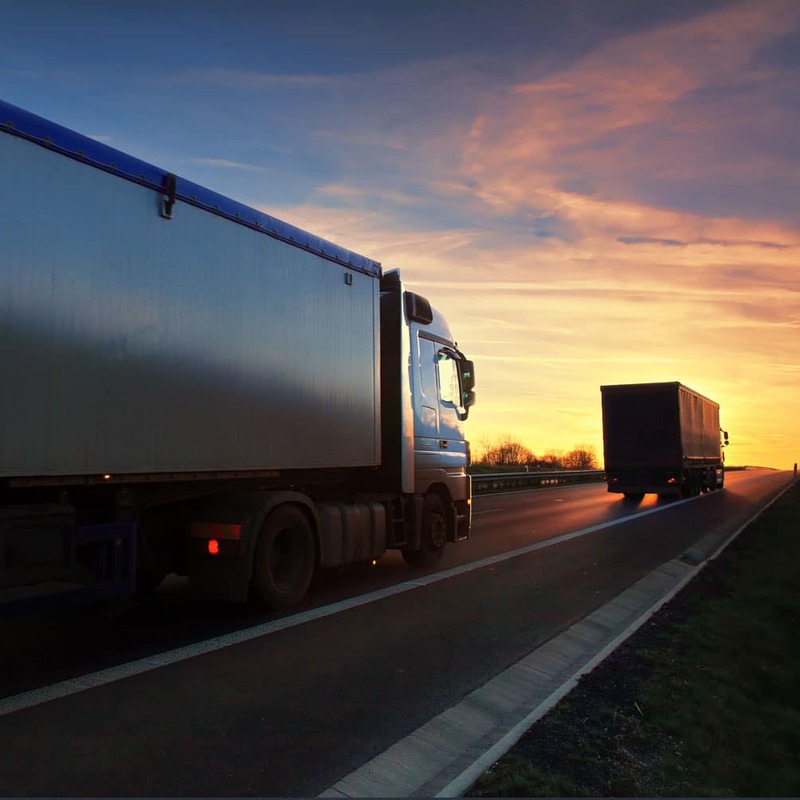 They lie seamlessly over the interiors of small food transporters, pickup truck beds, ship floors, bumpers, loudspeaker cabinets and outdoor furniture like a uniform, robust protective coat. They prevent deep scratches, vibration paint damage, rust and wear, and thus, ultimately, the depreciation of the vehicle or object. KCN Linings are waterproof, shockproof, resistant to chemicals, maintenance-free and have very low abrasion. Perfect all-round protection.